We are excited to announce the call for applications for internship at IGLYO this summer. We look forward to welcoming one intern into the world LGBTQ advocacy on issues affecting young people throughout the pan-European region! Interested applicants should submit their application consisting of two items: 1) your CV and 2) one-page cover letter, including one or two professional or academic references contacts. Please indicate an estimated start date and the desired length of the internship placement. We will give preference to applicants who can commit to a period of eight to twelve weeks, during summer/early autumn, though the exact dates are negotiable. 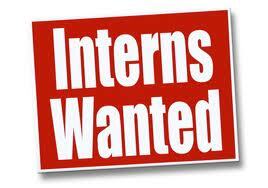 Applications should be sent to office@iglyo.com with the subject “Internship at IGLYO 2013”. We encourage applicants to apply by 30 June 2013. Applications will be reviewed on a rolling basis, interested parties should apply as soon as possible. IGLYO can offer a remuneration of 1000 EUR monthly (tax included). We also strongly encourage interested candidates to look into possibility obtaining an educational scholarship or fellowship or be sponsored by a private institution. Any work-related costs incurred during the internship will be reimbursed (e.g., travel and accommodation to IGLYO events). Due to the diverse Workplan of IGLYO, we have some flexibility in the tasks that you could perform during the internship. We will try to design the activities of the internship placement to best meet the prospective intern’s topics of interest and skills. Please use your cover letter to address the specific areas to which you can contribute. · Undergraduate/Bachelor’s degree in social sciences, politics, international relations, communications, or information management. Those pursuing advanced degrees are also encouraged to apply. Currently, IGLYO has a Secretariat located in the European Quarter of Brussels that is staffed by two people, an Office Manager and a Programmes & Policy Officer. The secretariat supports an eight-person Executive Board that is located throughout the pan-European region. IGLYO wishes to create more opportunities for young peoples’ participation and self-development in the organisational setting. Therefore, we see this internship placement very much as an opportunity for young people to experience the international LGBTQ movement, developing skills and knowledge on the topics of human rights, LGBTQ rights, health, education, intercultural and inter-religious dialogue, social inclusion, and international advocacy. More information about IGLYO can be found on our website www.iglyo.com or by inquiry to office@iglyo.com. IGLYO does not discriminate and encourages those from minority and vulnerable groups to apply. People from all under-represented groups are encouraged to apply. IGLYO supports the European Quality Charter on Internships and Apprenticeships. The Charter can be found here: http://qualityinternships.eu/ .